In the first two parts of this interview series, Michael Berlyn talks about the history of Bubsy, his departure from the game development scene, and his reemergence as a “casual” game developer. At this point in the conversation, Mr. Berlyn talked a bit about his more current projects, which you can find more about on the Flexible Tales website. Michael Berlyn: The website shows basically four interactive story products that are all graphically based and are story-driven. There’s nothing like them, nor was there anything like them when we decided to do them. My wife and I collaborated on them. She’s a writer too, and she worked on a lot of products with me, like Tass Times [in Tonetown], which she did most of the work on, and Dr. Dumont’s Wild P.A.R.T.I., she did a lot of the work on that. As a woman, she was never allowed to work in the business and was pushed aside by a lot of corporate managers. So anyway, we decided to do these interactive tales, which are not “interactive fiction.” There’s no typing, there’s no puzzles, there’s no trying to discover hidden objects; they’re just completely different from anything you’ve seen. They’re doing pretty good. They’re not runaway smash hits in the top ten on the App Store or the Mac Store or the Windows Store, but they’re doing okay. They sell a little here and a little there, and that’s okay. Josh: That sounds really interesting, to do interactive fiction in that way. You think of the adventure games where it’s “click on this; solve this puzzle” or the text-based games where you enter text, but to get out of that paradigm and do something new, that’s interesting. Josh: You said you were getting really close to shipping your new game [called Ogg]. What’s that all about? 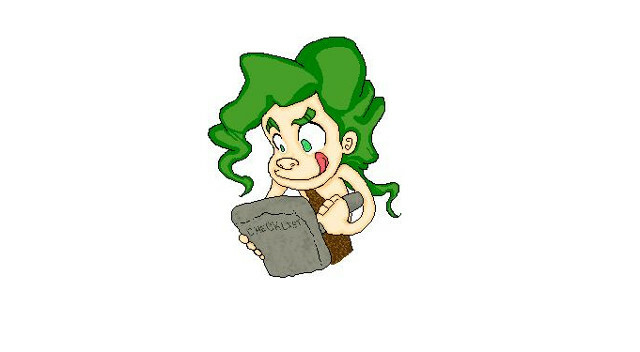 There’s this caveman named Ogg who gets some good ideas. He invents fire. He invents the wheel. He decides to go out on adventures, and he travels through his world. There are 15 different worlds that he visits, and each has 10 levels. There’s Underwater, there’s Volcanoes, there’s Ice Age, there’s Pterodactyl World. They’re all bizarre, and none of it could have happened. It’s all cartoon. The above image is concept art for Ogg. If you want to learn more about the game, check out the Ogg page at the Flexible Tales website. The idea is that at the start of each level, Ogg is trying to solve a problem and get his wheel to the bottom of the screen from the top of the screen. You help him by changing the maze environment that you look at that’s on the side of a cliff. And they’re made up of clubs, so you can tap on a club and it’ll flip it, it’ll rotate it, it’ll change its orientation. So the idea is for you to figure out how to get Ogg’s wheel to the bottom to light the fire, or to make the unicycle, or to get fruit to the bottom to set his table. It’s all about that, and then, of course, his distant cousins, the monkeys, help him carry the objects around on the screen and you have to anticipate where they’re going to go, and use them to your best advantage. And then there are other dinosaurs like the Kickosaurus, who will kick objects to the other side of the screen, and the Chomposaurus Tex who just eats anything that comes near. So it’s all filled with that kind of stuff. It’s for iOS and Mac. Michael: I’m really enjoying this new development process. I write the code. I design the game. I do the levels. I do the music. I do most of the graphics. You know, it’s one of those things, which is where I used to be back when I was a mere grasshopper back in 1927 [laughing]. I kind of like it that way. My wife will work with me. She’ll do some editing and some continuity checking with me, and comes up with great ideas. My nephew wrote the music to Ogg, so that’s great, and his friend did the Ogg character artwork. Most of it. I did the rest. It’s been a really nice collaborative effort without the pressure of having a full team of full-time employees. Josh: You’ve published novels. You’re a writer. But you keep coming back to interactive stuff, to video games and the like. Michael: I also write music. Don’t forget that. Josh: Really? I didn’t even know that. Michael: I’ve done five albums. Michael: They used to be. I took them all down. I wrote two symphonic works — well, one shorter one called “13;” it’s 13 minutes long. And three jazz albums. Josh: How many instruments do you play? Michael: I play all the stringed instruments: violin, viola, cello, bass. And then guitar and bass guitar. And piano and of course synth, all the keyboard stuff. Josh: I know your nephew is doing the music for Ogg. Do you do any of your own music for your games? Michael: Yeah. Two of the older games, which I don’t know if you can find or not. One was called Zen Ball, which was a Windows game. 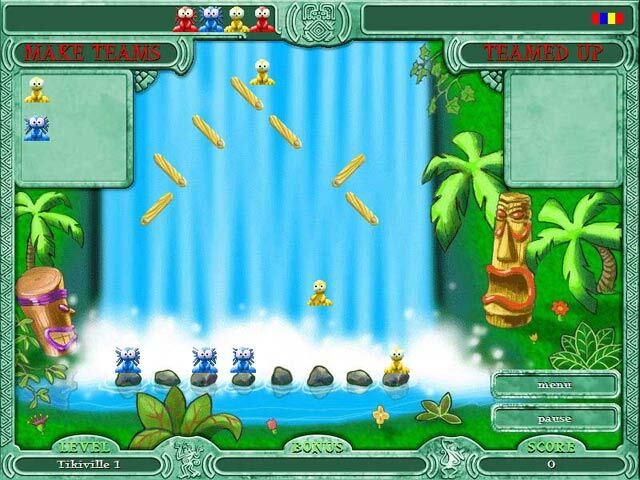 The other one was Triblettes, and Triblettes was also a native Windows game. I thought Zen Ball was really good. It launched on the same day that The Da Vinci Code launched, by the same publisher. The publisher’s servers went down for the two days they were promoting my product, because they got overloaded for The Da Vinci Code. Such is life. Josh: Oh my gosh. That’s a bummer. Michael: Yeah. Especially when you put a year of your life into it. Michael: I have done a novel recently, which is a novelization of the first interactive tale Flexible Tales published, which is called The Art of Murder. My agent has it… we’ll see what happens. But I love the interactive stuff because I got hooked on interactive stuff from Colossal Cave, back when it was the first and only really interactive product. Josh: Was that the early 80s? Michael: I think that was 1979. Maybe 1980. There were stores that did nothing but sell computers in strip malls. They had a little space, and they had a guy in the back who was a geek nerd, and he’d have like an Altair and a Northstar and a Commodore and an Apple II. Yeah, 1980. I would just hang around and soak up all the information I could, because I thought it was fascinating. I wanted a computer to write books with, to use as a word processor. I soon found out that the interactive nature of products was much more interesting than the manipulation of readers, which is really what writing is… People read books because they want to take a journey, they want to take a ride, and they want to go someplace they’ve never gone before and meet people they would never meet in their lives, and have fun along the way, or be biting their nails along the way. But they want to be dragged along step by step by step. That’s why people read, that’s why people go to movies. That’s linear fiction, and there’s no other way to write it. I found out that there are three other ways to write fiction that are very effective. The original text adventures, which were basically environmental simulations that let you interact with the environment and take things, and manipulate them, and see what happened, and then decide where to go and what to do. And it was all up to you. The third method is what I call “the drill-down effect,” which is the more you push on something, the more it unfolds. It’s sort of like an onion; the deeper you go, the more layers you unravel, and the more other things are made available to you, and those can unravel when you push them. And that’s a network-based interactive story, and that’s what our new interactive fiction is like. They’re all network based. And I don’t mean over the Internet; they’re networked in atomic structure in programming. Josh: I’m still trying to wrap my mind around this third one. I got you on the first two; the third one still seems sort of nebulous. Michael: Let me explain. So you’ve got this character who’s been murdered. And you are allowed to — expected to — examine the body, look at the police report, read the autopsy report. When you read the autopsy report, a new piece of evidence becomes available that wasn’t available to you before. So you go and look at the evidence, and the evidence talks about some footprints that were found on the body. So you examine the footprints, and they in turn link and open up a new location to you, which is a location unto itself that’s a shoe factory. I’m writing this on the fly, so you have to bear with me. So when you go to the shoe factory, you talk to the owner, so the owner becomes a character you can talk to and examine and research and question. And the more you question him, the more he’ll tell you about the guy who bought the shoes from him. And then he will become available to you as a character, and you can visit his house. Everything is linked together in a way that you can discover in any order you like as a result of normal curiosity. So that’s where I am. That’s what I’m doing. And that brings the interview to a close. I definitely appreciate Mr. Berlyn’s willingness to talk about the history of game development, and his candor at doing so. It’s been a hell of a ride! Really great stuff, very well done sir. This whole thing probably took me an hour to get through, but I read it all. Great stuff. Content like this is exactly why I come here to listen to HGG. You guys always surprise me. I’m really glad you liked it! I love doing stuff like this, and I’ve got some more interviews planned for the future. As for Half-Glass Gaming, we’re finishing up our 2015 episodes and planning out our roadmap for 2016. We’ve got some really cool stuff planned for the future, so I hope you keep listening! I’m looking forward to it. This is where I go to get my retro games fix. I’ll read that Greg Johnson interview as soon as I get the chance. Excellent interview! I’ve been curious about Bubsy ever since you talked about it on the podcast. Happy to learn more. Yes! Mr. Berlyn was a very awesome and very charming guy! I’m really lucky to have gotten the chance to talk with him! Thanks for reading! Good stuff. I’ve always liked the first Bubsy, it was one of my favorite Genesis games. Thanks for the comment! I’m glad people enjoy the interview, because I’m definitely planning to do more of them in the future! I love talking to people in the industry.